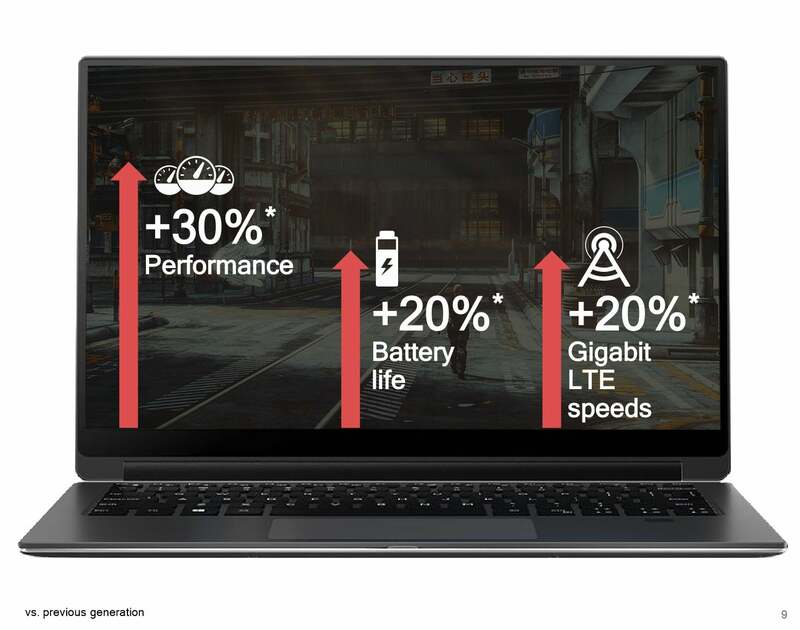 PCs powered by Qualcomm’s first-generation Snapdragon PC processor struggled with performance issues while providing incredible all-day battery life. Qualcomm has addressed these problems with the new Snapdragon 850, adding 30 percent more performance while extending its already incredible battery life another 20 percent to what it now calls "multi-day" longevity. 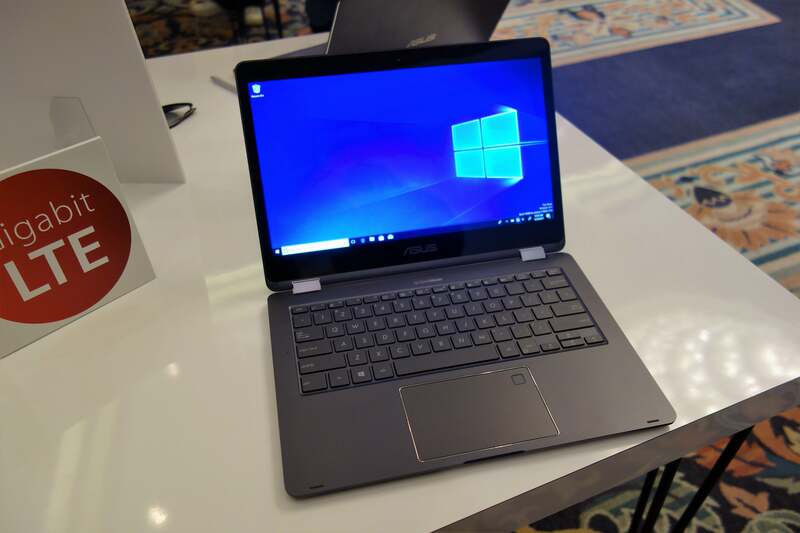 If you expected this second generation of Always Connected PCs (ACPCs) to be powered by the Snapdragon 845 Qualcomm showed off last year, you’d be forgiven. But that chip was specifically designed for phones, while the new 850—powered by a 2.95GHz Kryo CPU—was optimized for the PC, Miguel Nunes, senior director of product management at Qualcomm, said in advance of the Computex trade show in Taipei. What makes the Snapdragon 850 PCs special, boils down to three numbers: 30 percent more performance (including graphics) than the Snapdragon 835, with 20 percent more battery life and 20 percent faster gigabit LTE speeds. For example, the first-generation Asus NovaGo ACPC using the Snapdragon 835 yielded a whopping 17 hours, 22 minutes of battery life in our tests. With the Snapdragon 850, close to 21 hours of battery life seems within reach. For a PC. Expect Qualcomm to announce at least one hardware partner to ship a Snapdragon 850 PC by the holidays, Nunes said. The most likely choices were among the three who have committed to PCs using the existing Snapdragon 835: Asus, HP, and Lenovo. But it won't be: Samsung appeared on stage to announce that it will have a new ACPC platform later this year. Why this matters: Remember that a number of issues held back the first PCs powered by Snapdragon processors, including buggy Windows 10 builds, app compatibility, and performance issues with app translation. Some of those issues remain. But the basic premise of an Always Connected PC has always been fantastic battery life, terrific connectivity, nearly instant-on resume—all requirements the first-generation PCs met with flying colors. Snapdragon 850 PCs will apparently improve upon these, while Microsoft and Qualcomm straighten out some of the app issues. Qualcomm isn't saying much about the Snapdragon 850, but here's a few basic specs. With the Snapdragon processors, Qualcomm’s taking a slightly different tack than what you’re used to within PCs. “With these Always Connected PCs, our goal was to try and bring those smartphone capabilities to the PC and hopefully change the way people look and use their computers,” Nunes said. If necessary, Intel can push through problems like AI with its powerful Core processors. Qualcomm’s legacy as a mobile chip provider calls for dedicated logic blocks to solve specific problems, and the Snapdragon 850 is no exception: Nunes said his company has worked closely with Microsoft to accelerate Microsoft’s new AI API, Windows ML, within a dedicated AI block within the chip. 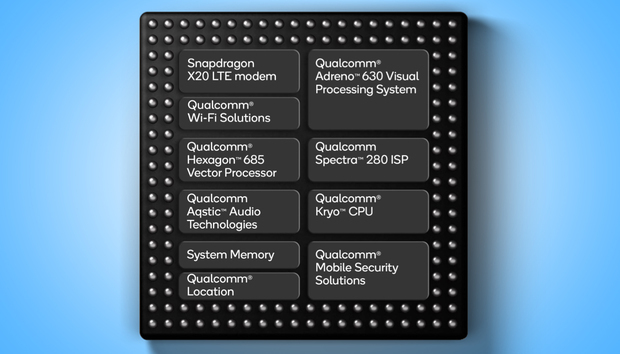 A Qualcomm reference design showing off the Snapdragon 850. Like the 835, the Snapdragon 850 is a 10nm part, meaning that Qualcomm had to find other ways beyond a mere die shrink to improve performance. It did so by boosting the Snapdragon 835’s clock speed from 2.6GHz to 2.95GHz within the 850’s Kryo 385 CPU, while improving the dedicated logic blocks for audio and video—which add 4K capture capabilities with the 850 generation. The GPU is the Adreno 630, which first appeared within the Snapdragon 845. 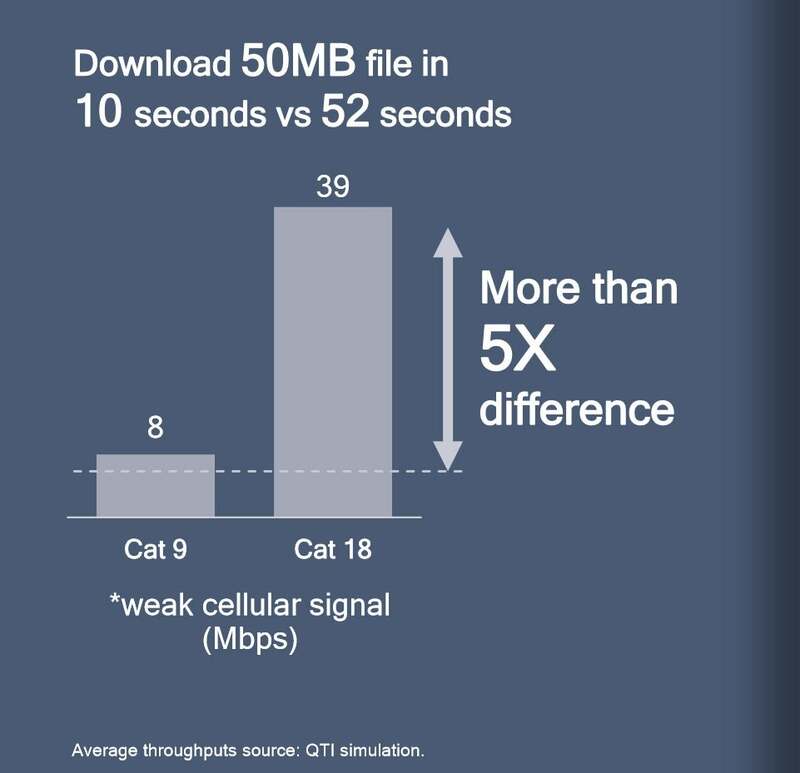 The other piece of the puzzle—connectivity—has improved as well, with added support for LTE spectrum that will allow nearly all global operators to deploy Snapdragon PCs with gigabit speeds. One of the keys is support for additional bands that will improve connectivity when the PC is at the edge of the cellular tower’s range, Nunes explained. Nunes also pledged that ACPCs will support 5G next year, and that Qualcomm will "lead in that category". 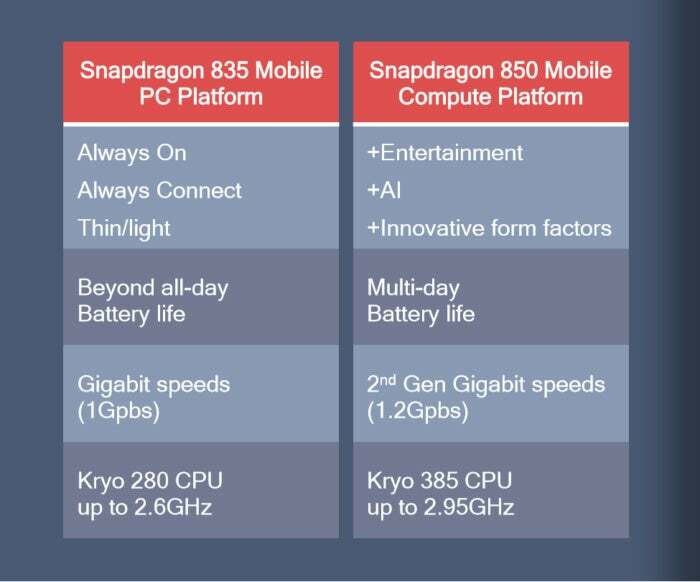 Some of the capabilities of the Snapdragon 850 make more sense within the context of the 845, designed for Android phones. A case in point would be the Spectra 280 image signal processor, whose capabilities, described in detail here, are more suited for the video playback and capture capabilities of smartphones. But Nunes said that with more users choosing to archive videoconferences and other streamed video, the company saw value in including it versus the playback-optimized version of the Spectra included within the Snapdragon 835. Improved cellular capabilities mean that the Snapdragon 850 should perform better in the field, Qualcomm promises. 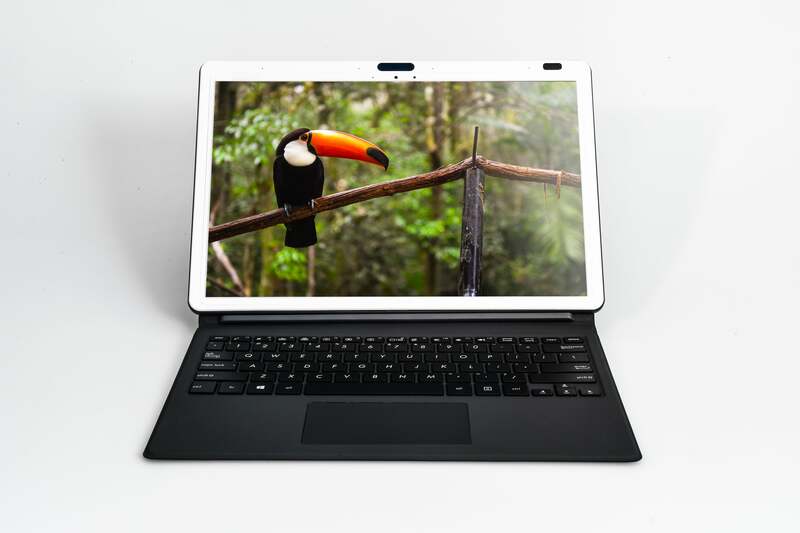 Likewise, the thin depth of most ultrabooks and tablets mean that it’s not likely you’ll see much benefit from the combination of Qualcomm’s Aqstic and aptX audio, at least where external speakers are concerned. Though the audio logic supports both high dynamic range and low noise, only headphones will reveal the real nuances of music played back through the chip. Qualcomm Aqstic supports both standard 3.5mm jacks as well as USB-C ports. Anyone who used a first-generation Always Connected PC, though, knows that while the hardware generally delivered on Qualcomm’s promises, app performance generally lagged. Windows wouldn’t accept any 64-bit apps, period. Any 32-bit apps not written specifically for the ARM architecture that the Snapdragon chip used—like the x86 instruction set used by AMD and Intel chips—were automatically translated. Translated apps could run on Windows 10 Pro, but performance could suffer because the app wasn't running natively. Asus built the Asus NovaGo around the first-generation Snapdragon 835. Will we see another? Several things will need to happen for PCs powered by the Snapdragon chips to improve. More app developers must code their apps to the ARM architecture. Qualcomm must increase the performance of the Snapdragon PC processors to overcome the translation penalty. Microsoft also has to step up and provide an SDK to allow 64-bit apps. At the recent Build conference, Microsoft did just that, publicly releasing a 64-bit preview SDK for the Snapdragon ARM64 architecture. That still leaves some hurdles for Qualcomm and its partners. Qualcomm needs to offer a faster processor than its competition for apps that need to be translated, such as Google’s Chrome browser. Nunes said that there’s a lot of “badly written software” that doesn’t take advantage of the Snapdragon’s full capabilities. For every app that Windows runs natively, though, including Edge, Mail, the Office suite, and more, Qualcomm’s Snapdragon 850 is on an equal footing. Nunes added that Qualcomm is in it for the long haul, comparing it to a marathon. It sounds like you’ll have a choice between powerful laptops and optimized mobile PCs for years to come. This story was updated on June 4 with additional details following Qualcomm's press conference in Taiwan.